(IPPC) Secretariat, to serve as the lead agency to spearhead activities related to International Year of Plant Health, and called on governments, civil society, and the private sector to engage at global, regional and national levels, reports NaijaAgroNet. An International Plant Health Conference will be among thousands of plant health events to be held around the world during the course of 2020. Finland first proposed the year to the governing body of the International Plant Protection Convention in 2015. In July 2017, the FAO Conference adopted a resolution in support of the proposal. "Pests and diseases don't carry passports or observe immigration requirements and, therefore, the prevention of the spread of such organisms is very much an international undertaking that requires the collaboration of all countries. This is why Finland proposed to proclaim 2020 the International Year of Plant Health," Jari Leppä, Minister of Agriculture and Forestry of Finland said. "Despite the increasing impact of plant pests and diseases, resources are scarce to address the problem," said Semedo. "We hope this new International Year of Plant Health will trigger greater global collaboration to support plant health policies at all levels which will contribute significantly to the Sustainable Development Agenda," she added. The Food and Agriculture Organisation (FAO) has applauded the United Nations decision by the United Nations to create two new international days and one entire year devoted to central issues in global food security and nutrition, reports NaijaAgroNet. The UN General Assembly, NaijaAgroNet gathered, had on December 20, approved three new resolutions creating three awareness-raising initiatives, focused on plant health, food safety and pulses. FAO and the International Plant Protection Convention Secretariat, based at FAO, welcomed the decision to proclaim 2020 as the International Year of Plant Health. With up to 40 percent of global food crops lost annually due to plant pests, the importance of fostering healthy plants is critical for public opinion and policy makers. In economic terms alone, plant diseases cost the global economy around $220 billion annually and invasive insects around $70 billion. "The International Year of Plant Health is a key initiative to highlight the importance of plant health to enhance food security, protect the environment and biodiversity, and boost economic development," FAO Deputy Director-General Maria Helena Semedo said. Meanwhile, from now on, 10 February will mark World Pulses Day, keeping alive the positive momentum surrounding these healthy, nutritious, protein-rich, nitrogen-fixing legumes after FAO's successful 2016 International Year of Pulses Campaign. Growing pulses contributes to sustainable crop production. And 7 June will be World Food Safety Day, paying tribute to an increasingly important issue in today's highly-interconnected food systems. FAO notes with satisfaction that the UN resolution expressly recognized that "there is no food security without food safety". A new laser bird deterrent technology has been successfully used at South American crops. The technology is designed and manufactured by the Dutch fast growing company Bird Control Group. Agrilaser technology is proven to decrease crop losses by 70 to 90 per cent, reports NaijaAgroNet. Pest birds like eared doves destroy each year between contribute to 5 per cent to 25 per cent of the crops at a farm in South America, resulting in enormous money losses to small farmers as well as large agricultural operations, especially in crops like sunflowers. A lot of bird damage also occurs in high yield orchards with fruits like cherries, table grapes and blueberries. Many of these fruit growers in Chile and Peru are suffering from great losses due the attacks of birds when the color of the fruit changes throughout their ripening process. Bodega Catena Zapata Farm was one of the many Argentinian farms experiencing significant grape losses due to the local parrot flocks. In order to protect their grapes effectively, they decided to test the automated laser bird deterrent system Agrilaser Autonomic. This technology is inspired by nature and takes advantage of a bird’s natural instinct: birds perceive the approaching laser beam as a physical danger and disperse to seek safety. Due to the installation of Agrilaser Autonomic, Bodega Catena Zapata successfully reduced the presence of parrots by almost 100% and saved thousands of dollars on bird damage. Also Agricola EU used the technology to avoid losses in the cherry farm in Chile. Germán González, the Operations Manager, decided to try Agrilaser after experiencing difficulties with choosing the right bird deterrent to protect the crops. With the installation of Agrilaser Autonomic he achieved immediate results and reduced the crop losses by 90%! Positive results have been also observed at Syngenta, a global producer of agrochemicals and seeds. The Syngenta sunflower seed producer in Argentina was experiencing a problem with pigeons and parrots destroying sunflowers and eating the seeds. They tried bird watchers and fireworks but none of these methods gave long-lasting results. After the Autonomic was installed, bird presence has decreased by 80 per cent. 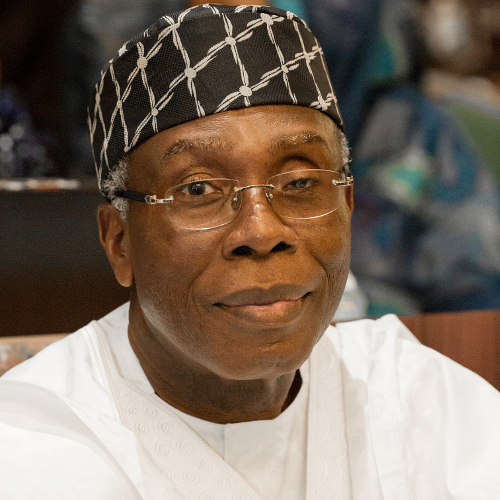 Pix: Audu Ogbe, Nigeria Agric Minister. 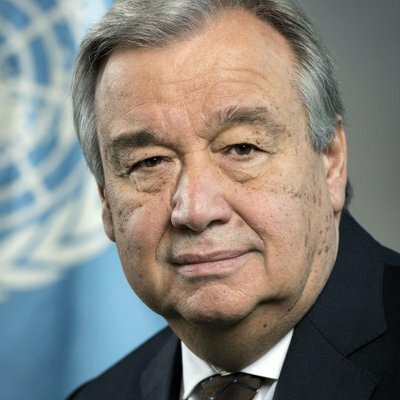 The United Nations (UN) has commended the global adoption of migration pact, saying it will avert suffering, chaos, especially in developing countries, reports NaijaAgroNet. The Secretary General of UN, Mr. António Guterres, said this in reaction to the adoption of the pact in Marrakesh, Morocco on Monday, describing it as a “roadmap to prevent suffering and chaos”. Addressing the opening intergovernmental session at the event, Mr. Guterres, said that the compact provides a platform for “humane, sensible, mutually beneficial action” resting on two “simple ideas”. The UN chief said that in recent months there had been “many falsehoods” uttered about the agreement and “the overall issue of migration”. In order to dispel the “myths”, he said that the Compact did not allow the UN to impose migration policies on the Member States, and neither was the pact a formal treaty. “Moreover, it is not legally binding. It is a framework for international cooperation, rooted in an inter-governmental process of negotiation in good faith,” he told delegates in Marrakech. The pact would not give migrants rights to go anywhere, reaffirming only the fundamental human rights, he said. Electronic Waste (e-Waste) has been classified as an emerging threat by the United Nations (UN), reports NaijaAgroNet. UN through its agency Food and Agriculture Organisation (FAO) at the occasion of World Soil Day 2018, informed NaijaAgroNet that some 50 million tones of electronic waste are generated every year. This, they said, has made e-Waste one of the world's fastest growing pollution problems affecting the soils. FAO also described the situation as one man's trash becoming another man's treasure in the case of electronic waste. The agency also urged those using electronic devices to think before throwing away their old devices. "You can donate them or recycle them," FAO experts said. They further insisted that every man on earth could be the solution to soil pollution. The Food and Agriculture Organisation (FAO) on Wednesday, marked the 2018 World Soil day with call for urgent action to reduce release of pollutants into soils, reports NaijaAgroNet. FAO, NaijaAgroNet recalls, every 5 December 2018 in Rome commemorate the World Soil Day, saying that urgent action is needed to address soil pollution and contain the multiple threats it poses to global food safety and food security. According to FAO, thousands of chemicals, which are commercially produced on a large scale, plastic and electronic waste, non-treated wastewater can all become a source of soil pollution, paving the way for the pollutants to enter the food chain with serious consequences for the health and wellbeing of people and planet. Years of our actions and habits on soil have left a legacy of pollution worldwide. Soils have a great potential to be the solution to the increasing challenge of soil pollution. They act as a sponge that filters contaminants, degrading and attenuating their negative effects. But soil buffering capacity is limited. If exceeded, contaminants can seep into the environment and enter the food chain. Growing food on uncontaminated soils provides safe food and helps fight hunger. Ninety-five percent of our food comes from soils: conserving and sustainably managing soils is critical in successfully feeding a growing world population. Simultaneously, it can restrain the risk soil pollution poses to agricultural productivity, human health and the health of all organisms on Earth. 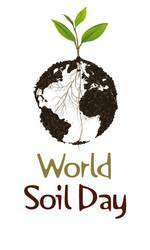 On 5 December 2018, World Soil Day, focus your attention on being part of the solution... Small daily changes can have a significant impact on the health of our soils. A new drought response plan will help estimated 1.4 million of the most vulnerable drought-affected people in Afghanistan during the coming winter season and into April next year, the Food and Agriculture Organization of the United Nations (FAO) announced today on the sidelines of the Geneva Conference on Afghanistan, reports NaijaAgroNet. 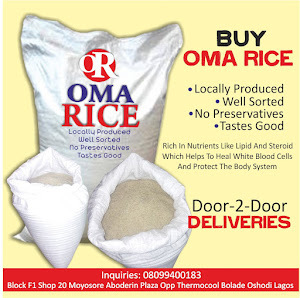 Around 10.6 million people, or close to half of the country’s rural population, are severely food insecure. This level of hunger has many causes, including years of civil unrest, but it has been made worse by a damaging drought triggered by low snowfall last winter followed by rainfall of up to 70 per cent less than normal in some places. Many families have resorted to desperate coping measures including skipping meals, selling off their livestock or moving to makeshift displacement camps. FAO is working with partner organizations to provide vulnerable farmers in 22 of Afghanistan’s 34 provinces – particularly households headed by women or people with disabilities – with urgently-needed wheat seeds and fertilizers in time for the winter planting season, when much-needed rains are forecast to finally arrive. Livestock protection measures, including concentrated livestock feed, fodder crop seed, and animal health services are also being provided. Livestock are a key source of food and livelihoods for the majority of rural Afghans; keeping livestock healthy through the harsh winter is therefore essential for rural food security, preserves breeding stocks and sustains rural livelihoods for the coming years. FAO’s drought response plan is also intended to help people stay at their places of origin and reduce drought-induced displacements.